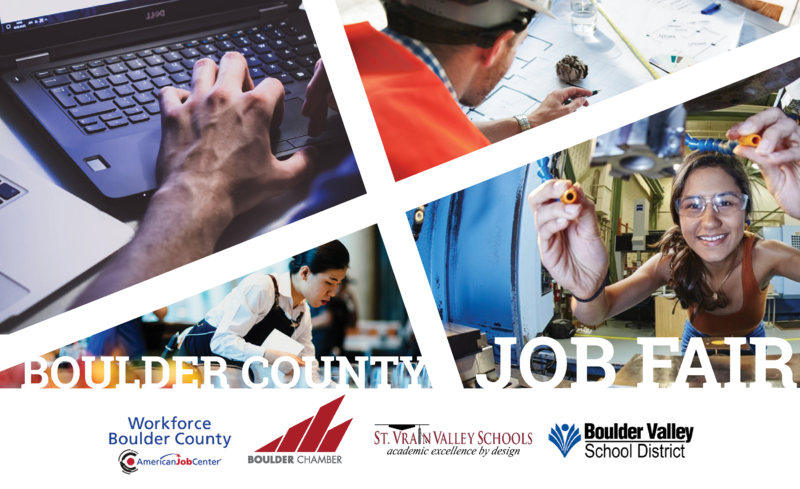 In partnership with Workforce Boulder County, St. Vrain Valley School District, Boulder Valley School District, University of Colorado Boulder and Front Range Community College, the Boulder Chamber is organizing a Boulder County Job Fair targeting young adults, ages 16-24. This regional job fair will take place Thursday, March 21, from 3:30 – 6:30 p.m. at the CU Events Center in Boulder, Colorado. Companies will be hiring for short-term, seasonal and long-term positions, including both paid jobs and internships. In addition, employer vendors will educate young adults about apprenticeship and training programs available in the region. In an effort to encourage regional engagement, employers and job seekers can attend and participate free of charge. For more information on hosting a free employer booth or attending as a job seeker, please visit https://goo.gl/3GU2Ep.